Game Ready wraps are comprised of an inner, two-chamber “heat exchanger” and a removable, machine-washable, and replaceable outer sleeve. 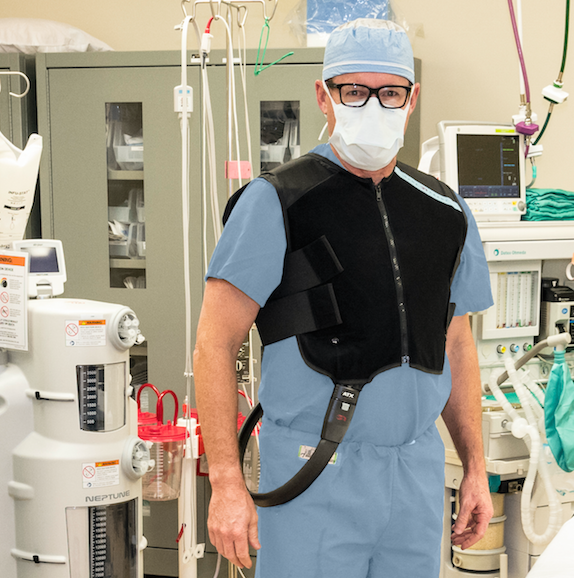 During long and arduous surgeries under hot lamps and layers of protective clothing in the operating room, you now have the Game Ready® Cooling Vest. 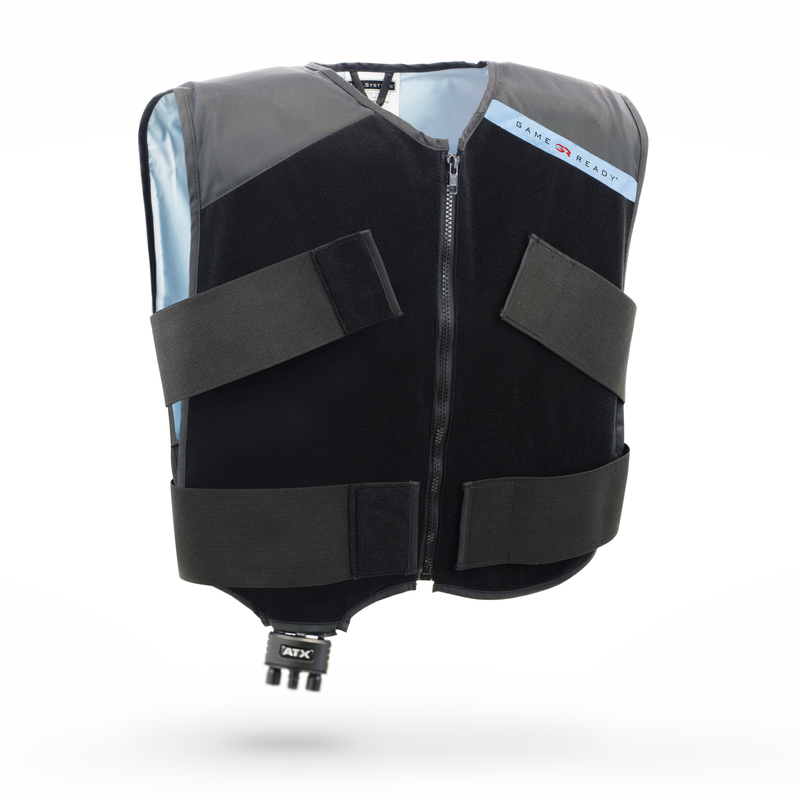 The Cooling Vest conveniently delivers consistent, adjustable cooling to minimize symptoms associated with mild pain and discomfort while assuring freedom of movement. 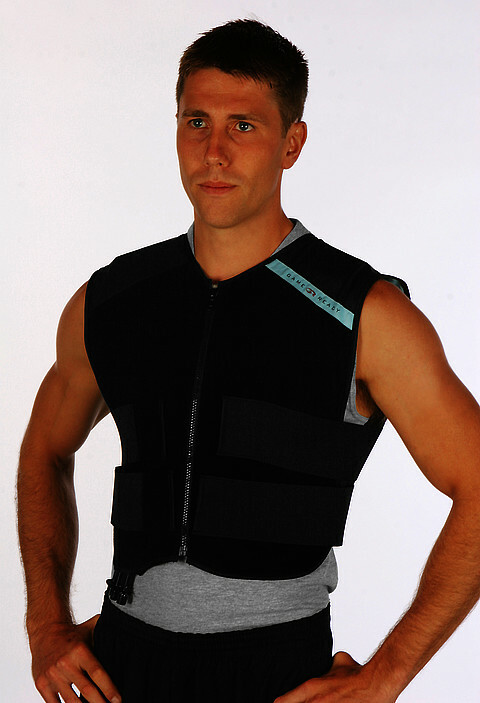 Customizable temperature control and fit assure personal comfort. Featuring an ergonomic, low-profile, lightweight design based on input from surgeons, team physicians, athletic trainers, and physical therapists. Temperature, pressure, and time status indicators provide clear information, making it easier to monitor and manage synergistic compression and cold treatments with simple buttons and dials. Adjustable set-point temperature control provides consistent temperature across the wrap and throughout treatment, improving patient comfort and safety. 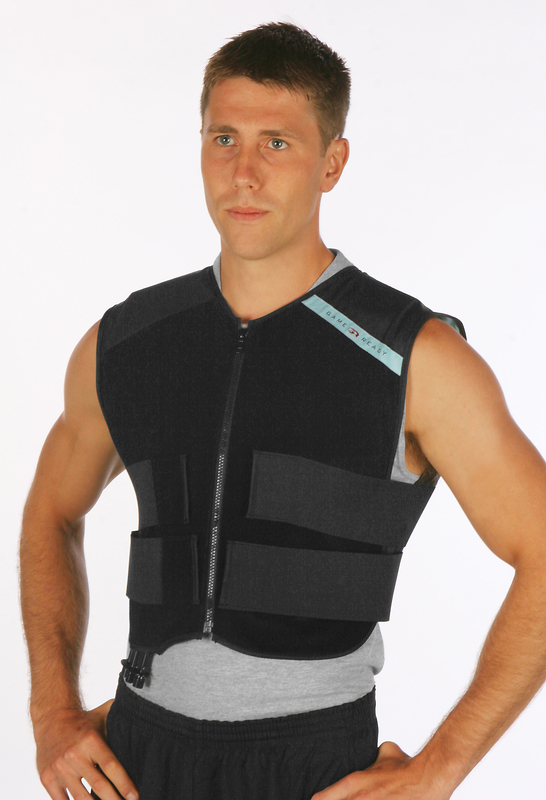 Pre-set programs promote patient compliance and reduce risk of injury by automating alternating treatment and “rest” times. Low-profile, lightweight, circumferential wraps surround the injury area, cover more surface area, and use pneumatic compression for better contact and deeper-penetrating cryotherapy benefits. For best fit and function, Game Ready’s easy-to-apply wraps are anatomically engineered for all major body parts and available in a variety of sizes. Patented internal microdot construction facilitates maximum flow and disbursement of ice water for even, efficient cooling – helping to safely reduce pain, muscle spasms, and swelling in a non-narcotic application.